In this post we will discuss generating classes from XML or JSON. 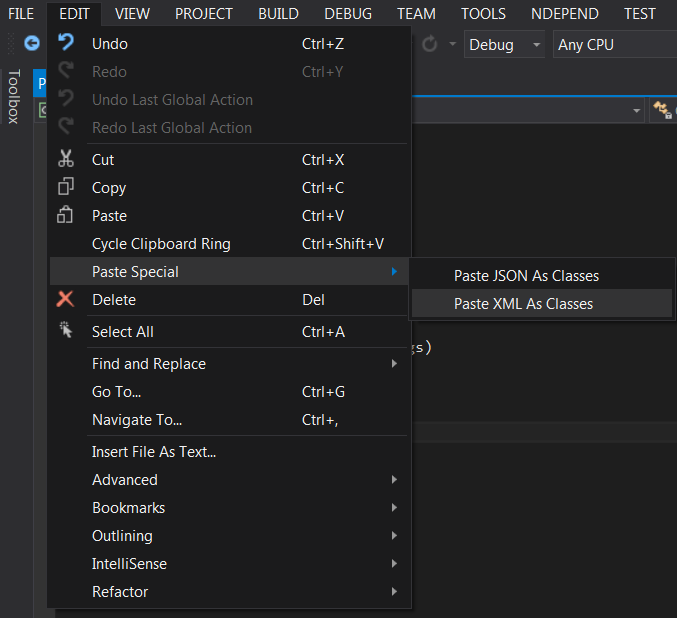 You can able to generate Classes from XML or JSON using Visual Studio. It is a real pain for the developers to create data type from the XML or from the JSON and there is a high possibility that you might miss something if the file is really big. This trick will come handy when you are taking XML or JSON feed from one system and you need to integrate it into your project. When we paste this example in C# file as "Paste XML As Classes", it will create a set of classes that represents the XML data structure. Similarly it will work for JSON documents as well when you will "Paste JSON As Classes".